Pharma HCP meetings – here today gone tomorrow? As our medical communications focus month continues, Mark Handforth shares his views on the future of pharma HCP meetings. This isn’t an article bemoaning that “meetings aren’t what they used to be” – well OK, maybe in part – but what I do want to outline is the fact that without some element of a fight, a willingness on behalf of healthcare and life science companies to defend their right to meet, that this once critical tactic to communicate, educate and inspire their customers could pretty much be lost forever. At this stage, it is important to raise my hand and unashamedly say that I love meetings and events. Not the process, the planning, even the creativity, but the knowledge that delivered well you can tangibly see an audience take the information, and for all the right reasons use it in their day-to-day activities. The human need to educate has driven us to excel in the ability to find innovative new ways to take a message, package it and deliver it to an increasingly savvy audience. So, we are better at it, why would it be under threat? In the knowledge that commercial organisations in the healthcare sector will have to report on (at least in the UK and France) the number of HCP attendees and total spend on meeting activities for HCPs sponsored to international activities – what do we think will happen when these numbers and costs are published? I suspect industry commentators will find data to feed their view on the sector. For an organisation, I believe a trend which already is seeing many companies reduce their attendance to international medical association meetings will accelerate and increase, especially in the big five European markets. With a global climate of perception being everything, why put yourself in the spotlight if the return is questionable? As probably the most strictly regulated commercial organisation type in the world, regulatory code compliance has had its effect, not just in providing necessary guidelines and behavioural direction but also in shaping the route to deliver an event. Don’t think I am blaming compliance for taking the fun out of events, I am not – sector perception has probably done that. The obstacles to deliver an event are increasing – for example, the number of national codes that have to be considered to organise a multi-market event is now mind-boggling. The process to simply sign off for content, materials and venues for what used to be a reasonably simple national activity increased at least threefold. Additional time and cost is being piled into events, additional levels of sign off at the end compared to what you want to do as a content stakeholder – the result can often be a dumbed down imitation of your preferred result. It takes a steely determination and a supportive organisation to look at the communication you wish to do and align that to the compliance process. The pessimist looks at industry-sponsored CME activities and says “it’s really about promotion”, the optimist cries “that’s changing”. I sit in the first boat, quickly paddling to the second. What is clear is that with some powerful European accreditation bodies deciding to not accredit industry-sponsored CME/CPD meetings, there is a change thrust upon us. There are plenty of others who will accredit industry-sponsored activities, at the moment – “at the moment” perhaps being relevant. It is right to ask if we are moving towards the US model in terms of CME activities. Don’t panic, it doesn’t mean you cannot host a likeminded agenda without the accreditation but you are in competition with CME/CPD activities with the pull that the points will exert to an audience. What saves industry events is the feedback, consistently seen as being relevant to HCPs, and well delivered. With CME/CPD becoming mandatory for UK HCPs in 2012 we can expect to see an increase in face-to-face activities to deliver these programmes. Who will sponsor them, will they follow the high quality of pharma sponsored activities? Delegate recruitment to any event is key, whether you are Michael McIntyre and his 70+ venue tour or an organisation planning a regional meeting for speciality care HCPs in the UK. The days are fading where you had 100 spaces and 120 plus requests. Not necessarily because of CME, compliance or transparency effects, no, a changing customer need means that as a meeting originator in a healthcare business you should rightly ask if a meeting is the right way to launch a product or more generally inform and educate a target group of influencers. Firstly, will talking to a historic group, typically clinicians, result in leveraging your data to the right effect, or are payers the right audience now? If yes, how do you access them, will they attend an event, what information do they require? A far more sophisticated view on what the customer needs means that a meeting rather than being the spear point of a campaign can be balanced with other methods such as online strategies and stand back support to influencing organisations, such as medical associations and patient groups. So, the channels are adapting the attendee might be different, what is also relevant is how they want information to be delivered to them. Looking at the everyday realities around us and we find the man in the street taking information from PDAs, tablets, television and a lesser degree printed material, increasingly short bursts of quality information, targeted and designed to encourage deeper dives. This doesn’t look like the traditional five hours of stand-up delivery of content for a meeting. It is wrong to say that the natural progression is to online meeting methodologies, there is little evidence to show that there is an appetite to sit for many hours, face-to-face style to engage with information. So, the hybrid and most effective method is to use live and archived content to provide an alternative, but more importantly a blended, approach to attending an event and increasing the communication potential over an extended pre and post phase period, creating information portals to make your point. As a generation changes and an app-driven society becomes our influencers, you will not be seen as being creative in supplying new communication methods, more importantly you will be expected to do so. In the understandable absence of companies publicising how they view medical meetings, what do I believe are the key trends at global and national levels? In answering the question “here today gone tomorrow?”, it is worthwhile reflecting on the realities. I made an estimate based on the volumes visible from sample organisations to calculate that about 73,000 meetings take place in the UK healthcare sector annually, in both the commercial and non-commercial sectors. Even a 30% shift over time would still leave a substantial level of activity. What effect will further transparency have? How will industry react to this within a new future to CME/CPD events? We wait to see the facts emerge. My conclusion is that HCP meetings are at a critical phase, yes changing in format but also crucially in who delivers them. If corporate organisations wish to retain these as a central communication and marketing tactic then they will need to literally fight for them. Challenge their positive role in providing medical education, be confident in their content and by ensuring that they are “appropriate” report spend in 2013 with confidence, not to justify the financial relationship, but highlight the positives of a channel of communication to HCPs supported by the science and resources available from industry. Mark Handforth is a recognized expert in meetings and events with over 20 years strategic and tactical experience. A career starting in the hotel sector took Mark via a number of hands-on roles to a position as a director of WorldEvents, a global event management company where he delivered bottom-line growth and service differentiation for over 15 years. As head of global events for F. Hoffmann La Roche Mark was the principal architect to the successful consolidation of above market activities, considered by many to be an industry benchmark integrating over 35 markets into a centralized solution. More recently he enjoyed a role as subject matter expert at Grass Roots, where he worked with international offices to create an aligned multi-market offer. Mark is director of both 360 Event Consulting, a consultancy supporting corporate organisations in the delivery of their global and national meeting strategies, and Compliant Venues, an accreditation and training solution supporting venues in enabling them to work efficiently in the healthcare sector. 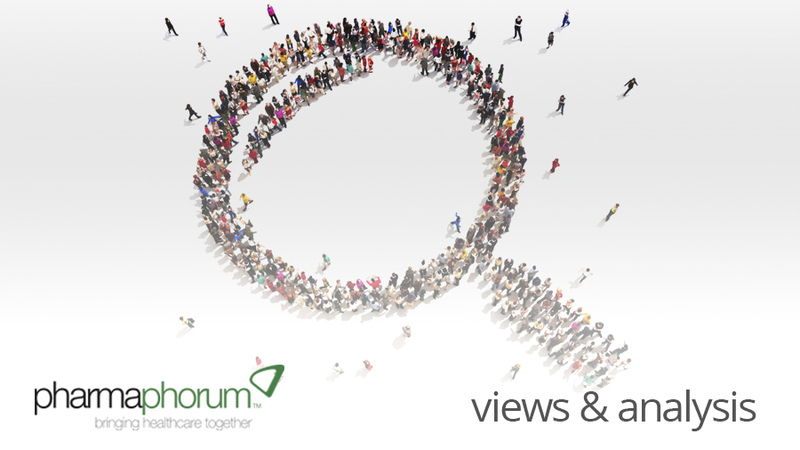 What effect will further transparency have on HCP meetings?